Check in with your coach. Champions have great mentors. Carve out some time to check in with a trusted mentor to go over your game plan. Solicit their feedback and thoughts on your game plan. The best mentors have already been where you are and have a few championship rings themselves, so they are able to see gaps in your plan and offer solutions for them. Also, they’re on the outside looking in. They have a vantage point on the game that you don’t. They can identify your opponent’s weaknesses better and quicker than you can and help you attack them more strategically. Utilize your best teammates. Now is not the time to be playing around with your 3rd string teammates; you know the ones who aren’t strong, skilled or disciplined enough to win a championship. It’s no shade; it’s just levels to performance and they simply may not be there yet. Your family and friends who aren’t focused, driven or have the heart that it takes to pull off game winning upsets are prime examples of 3rd string teammates that you need to keep on the bench in these last months of 2017. Drown out the noise. Everybody knows that the intensity and high stakes of the 4th quarter of a championship game are on ten! Such a game also draws tons of spectators, some rooting for you and some rooting against you. Both are shouting at the top of their lungs and even trying to coach you from afar. You can’t be distracted by all of the noise, whether it’s in person, or on social media. You’re going to have to find a way to maintain your focus and not be swayed by the crowd. Study your opponent. Your opponent is that last 20lbs you want to lose; that promotion at work you’ve been working towards; that degree that you’ve been slaving over; that $25K money goal for your business. You need to know what you’re up against so that you can attack offensively and put some points on the board. Once you find your opponent’s weak spot (negative thinking, external triggers for bad habits, lack of discipline), you can create the right plays to execute on both the offensive and defensive sides of the ball. Run the plays. The only thing left to do now is to execute. Run the plays that you’ve designed after navigating all of the other steps. It may sound simple, but so many times people will get scared and not follow through on the play, or run the play at 50% effort. Stick to the plan that you have and execute it with all of your heart, soul and entire ability. 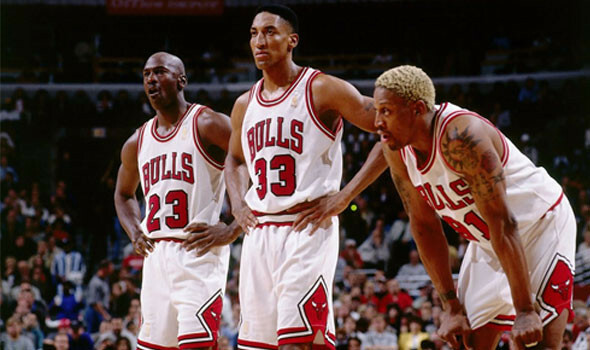 This is where you dig deep and ball with the heart and skill of the Bulls in the 90s. This is where you prove how bad you really want it. It’s game time girl. Game 7. 4th quarter. The clock is ticking. What you gon do?